It’s apple season, which is one of my favorite times of year. The air is cooler, the leaves are changing and starting to fall, and all I can think of cooking or baking are things with my favorite fall flavors. And Baked Apple aroma. I was first introduced to SweeTango apples last fall when I had the chance to go up to Door County in Wisconsin and tour the orchards of one of SweeTango’s growers. It was such a great experience and a phenomenal trip because we were able to see the apples being picked in the orchard, processed, and in cold storage. When you buy an apple in the grocery store, you don’t often think about the journey that apple has traveled. From my experience with SweeTango last year, care is taken with each apple picked to prevent bruising and to maintain quality standards. 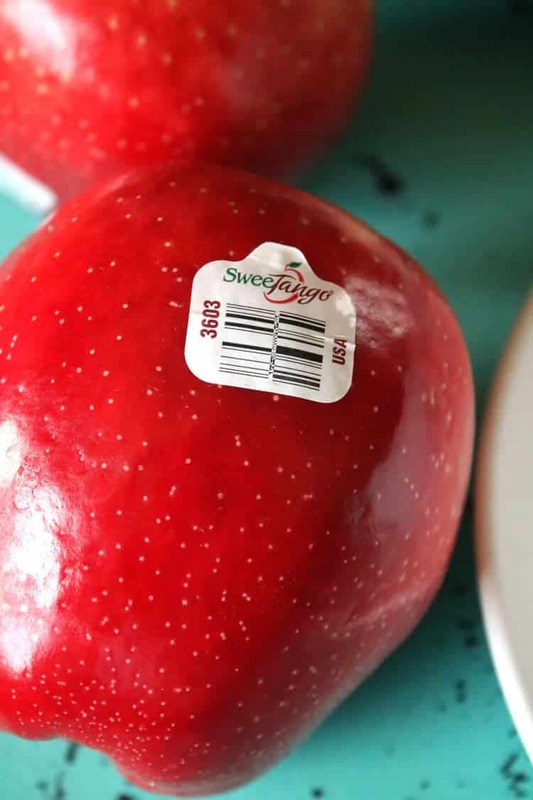 Bruised apples are set aside and don’t make it to the market, so you can be sure that each and every SweeTango apple you get is one of top quality. We are HUGE apple lovers around here. 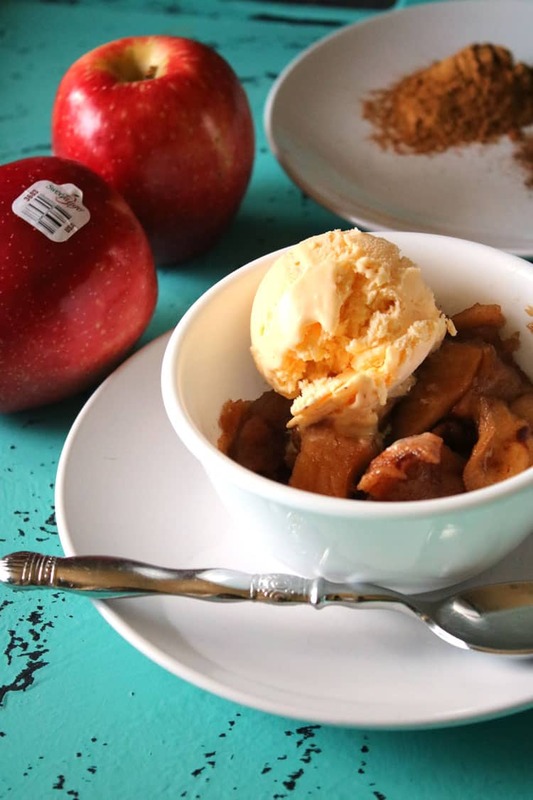 Which is why some of my favorite recipes to make include Apple Caramel Cheesecake, Apple Butter, and Easy Apple Pie. 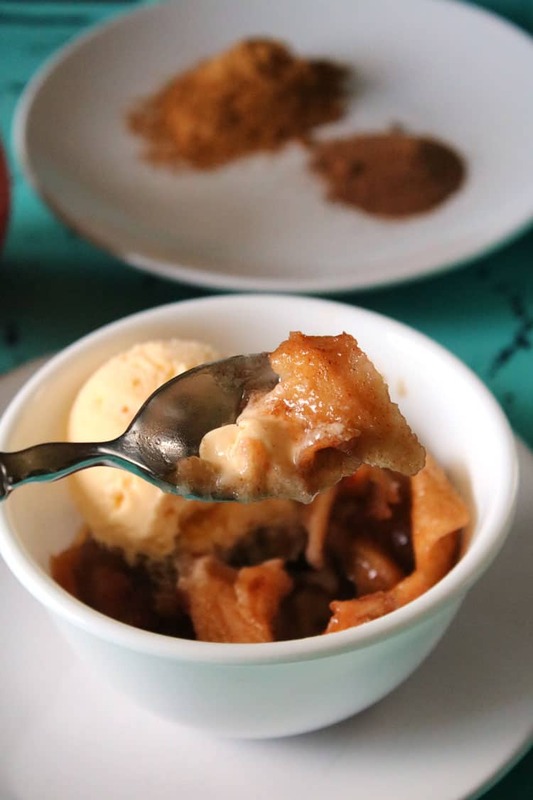 One of the things we love most about both Apple Butter and these amazing Slow Cooker Baked Apples is that they can be used in so many ways. 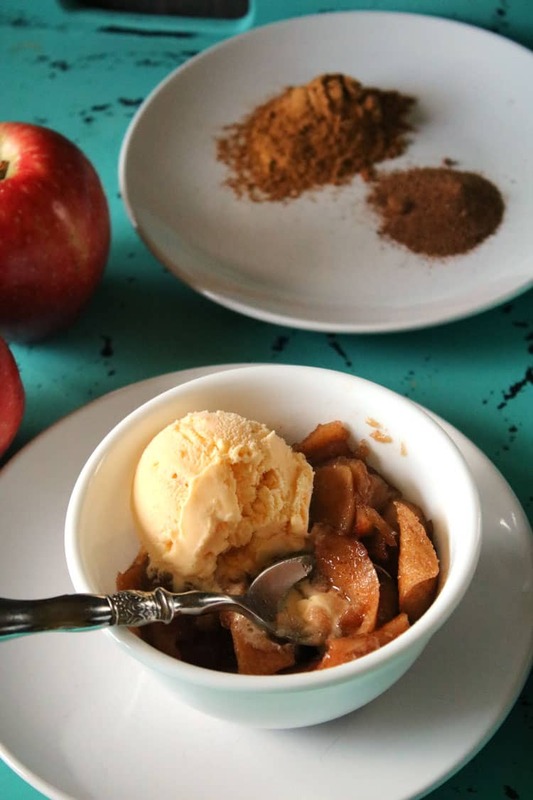 Slow Cooker Baked Apples is truly a very simple recipe to make. 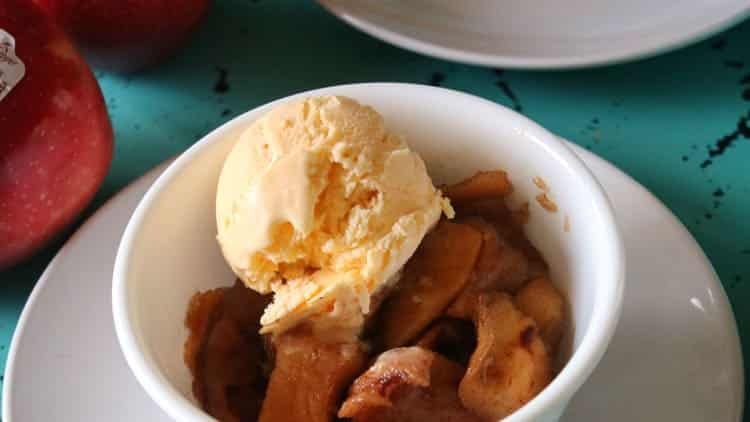 The most difficult part of the whole recipe is peeling and slicing the apples, and that really isn’t too hard. 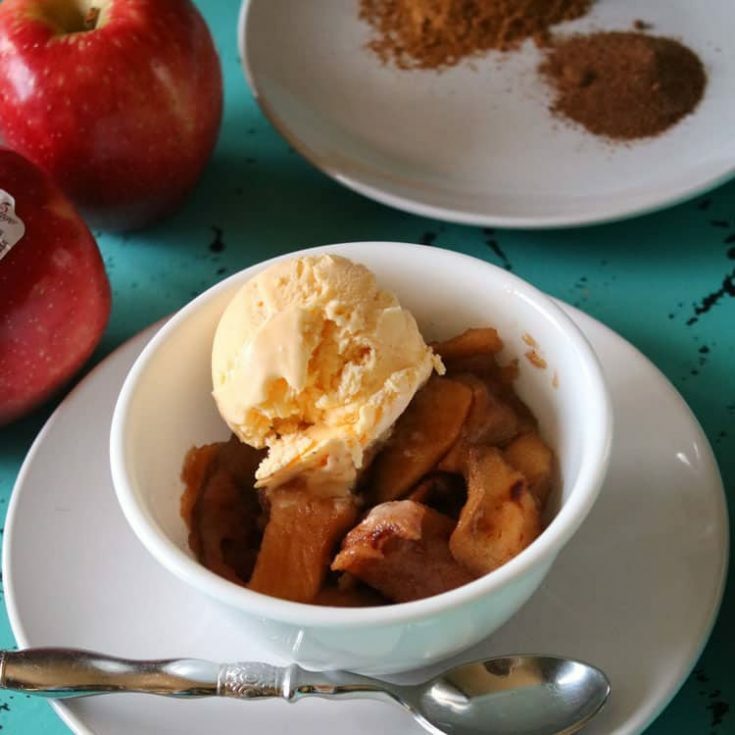 If you have an apple corer slicer, then this recipe will be incredibly easy. Other than that, it is all about adding in white sugar, brown sugar and some cinnamon and nutmeg. And that’s all. 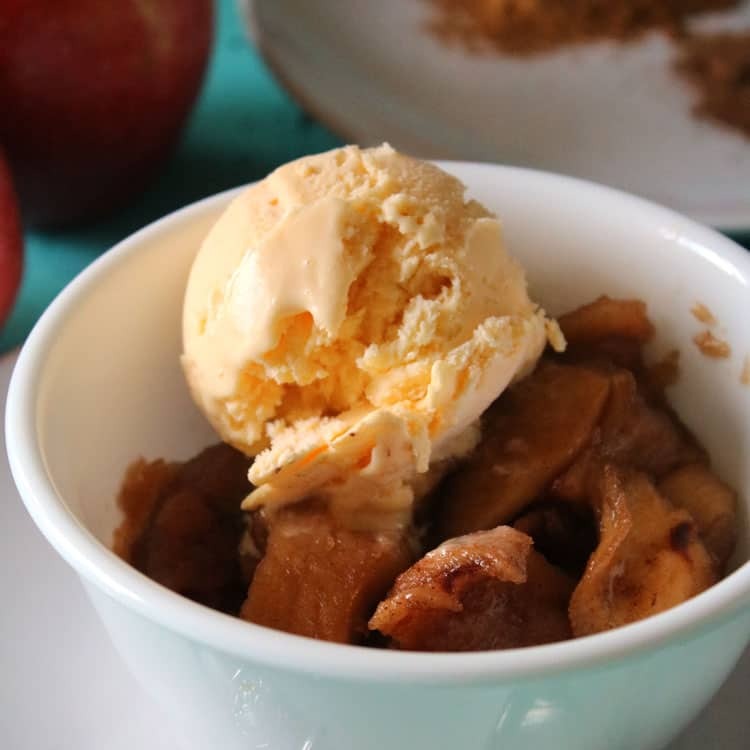 We cooked our baked apples on low in the slow cooker for about 4 hours, and then turned the heat down to warm. The aroma of baking apples smelled AMAZING! I could make this every day just for the yummy smells wafting through the air. Delicious! Peel, core and slice apples. Add all ingredients to slow cooker and heat on medium for 4 hours, stirring after a couple of hours. 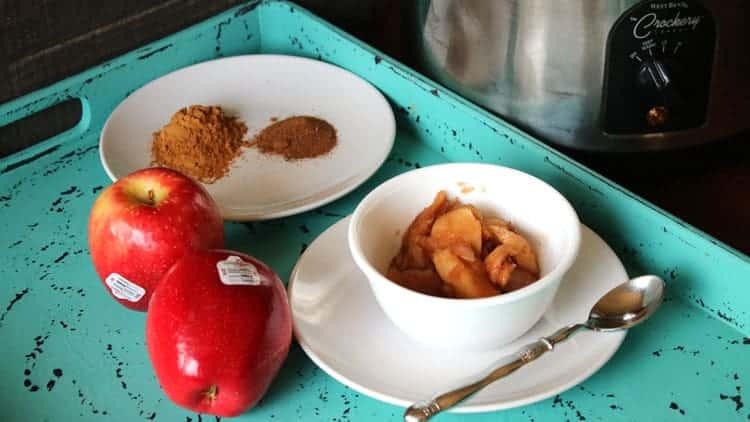 Turn heat to warm to keep the apples ready to go for serving. Serve as a side dish or as a dessert. « Chicken Buffalo Dip with Celery – Perfect Tailgate Recipe for Less!